Photos above are the intellectual property of Jacqueline Blais. All rights reserved. 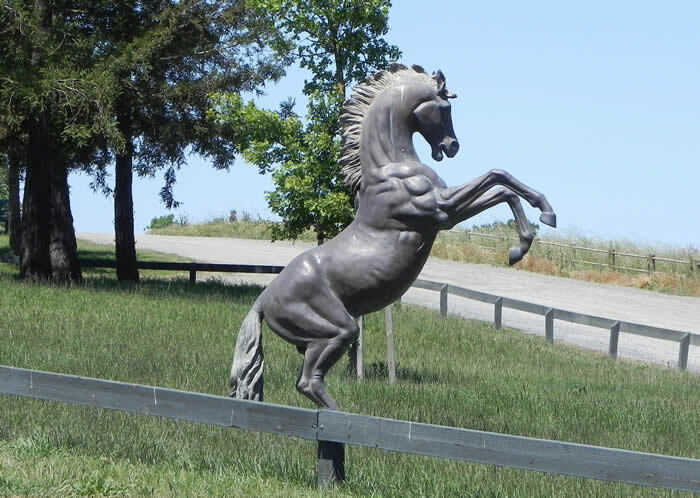 The Horse Park welcomes members to use this beautiful 272 acre equestrian facility, right in the heart of the San Francisco Bay Area. Members have a choice of joining The Horse Park with an annual Full-Use Membership or a Basic Membership which allows one to Pay-As-You-Go. 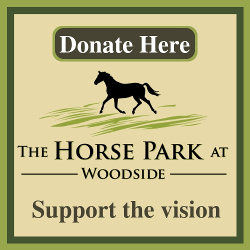 It is the goal of The Horse Park to keep membership costs as low as possible and consequently, the monthly cost for annual membership is comparable to a monthly fee for a local gym membership. Click HERE to download the Dog Walking Rules. Full use memberships which include full use of the facility are available for individuals (both dog and horse), trainers (dog or horse), families (dog or horse), farms, and individuals of an approved affiliate. The affiliate memberships include the US Pony Club (USPC) and the North American Junior and Young Riders Championships (NAJYRC) and are eligible for a special affiliate membership at a reduced rate. Family membership is available for up to 4 core household members (parents and children) and a Farm membership is available for an individual plus 2 farm employees. Trainers must have trainer liability insurance and name The Horse Park as additionally insured. Farms must submit liability insurance that insures the individual and farm employees and names The Horse Park as additionally insured. Proof of insurance must be provided with membership. To ensure compatibility with the equestrian focus of the park, dog walkers must observe the dog walking rules and procedures. Basic membership is designed for occasional park users who visit the park on an average of once a month or less. 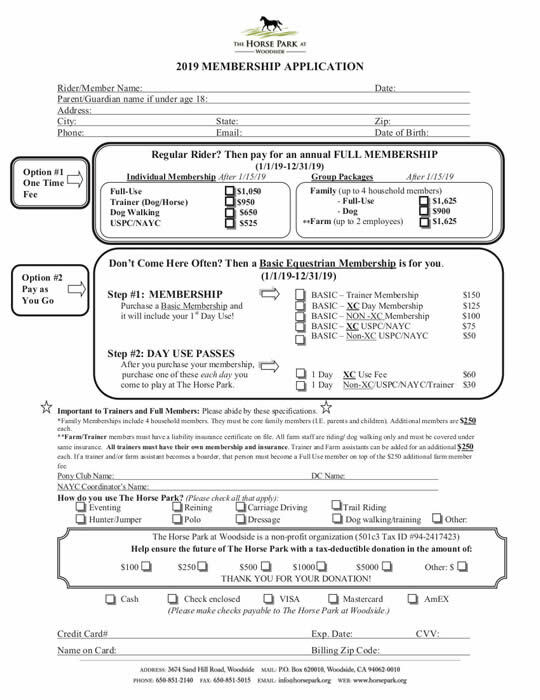 The Basic membership fee includes the first day-use pass. On subsequent visits, Basic members can purchase a day use pass upon each park visit.